When you say family it means different things to different people. Family to me means my children, husband, sisters, parents, grandmother, in-laws, step-father, cousins, aunts, uncles, step sister and brothers. All those people in my life who help me get through the day-to-day who I couldn’t live without. Those special people who you call your family who you can count on in good times and bad. Funny as I sit here writing this post I am reminded of what family means to me and how quickly my family responds to the call for help. Last night a portion of the ceiling in my living room fell down. Luckily no one was hurt but it did leave quite a mess and a huge hole in my ceiling. Within half an hour I had a crew at my house happily cleaning up dusty chunks of plaster and helping us figure out how to fix this mess. As I sat surrounded by dust and crumbling ceiling I looked around and watched as everyone was pitching in and trying to make it better and I realized how incredibly lucky I am to have such a great family. Of course family are also those same people who can sometimes make you so mad you want to beat them over the head with a stick or pull there hair out. However, those moments eventually pass and the best times can be had with your family. Even when family aggravates you to the point of insanity you know when it comes down to it they love you more than anyone else. Having two sisters I can attest that no one irritates us as much as sisters irritate each other. That being said we would kill anyone who dared say anything bad about the other. We would throw ourselves in front of a bus if need be to protect or defend the other, then we would pull their hair out. So you might ask why are we discussing family today and what does it have to do with Disney’s new movie Delivery Man coming out November 22nd? In the movie funny man Vince Vaughn portrays an affable underachiever who is trying to find his purpose in life when he discovers he has fathered 533 children through anonymous donations to a fertility clinic 20 years ago. Can you imagine 533 children?? If I even mention having a fourth child my husband runs for cover! In the movie Vince Vaughn’s character must decide whether or not to come forward when 142 of them file a lawsuit to reveal his identity. Guaranteed to be both a funny and heartwarming look at family. 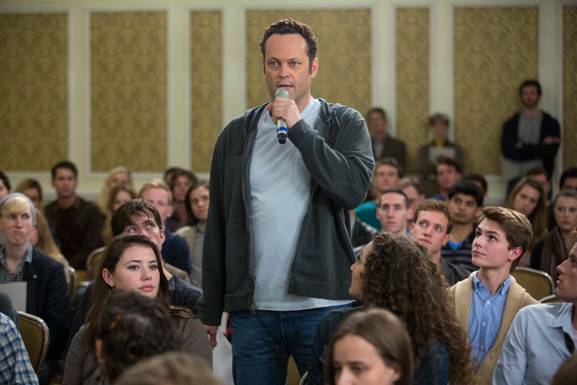 I am a huge Vince Vaughn and can’t wait to see him in this role that I will be able to bring the whole family to. 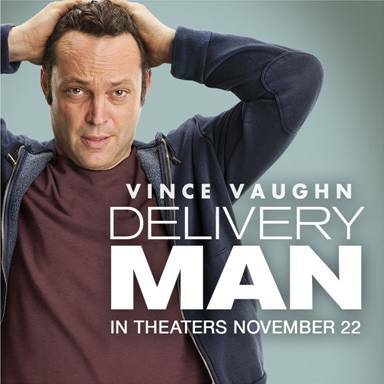 I am so excited to be one of 533 bloggers who are the first to share the Delivery Man trailer. This entry was posted in Disney, Family, Family Movies and tagged Cobie Smulders, Delivery Man, Disney, Disney Movie, DreamWorks, Family, Fertility clinic, november 22nd, The Walt Disney Company, Vince Vaughn. Bookmark the permalink. That is so true about family especially sisters!